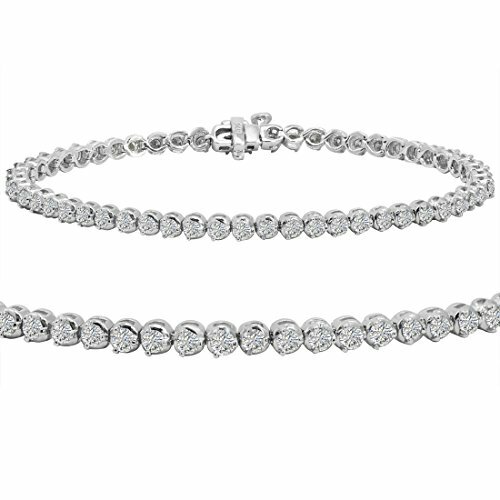 3 Carats of diamonds set in a 7 inch diamond tennis bracelet , certified by the American Gem society. The diamonds are set in 14K white gold with a locking safety clasp. Your bracelet will be tagged by AGS with the unique number matching the authenticity card included.